In 2013, Potterheads round the world received the best news possible: a new series of films was in the works, taking place within the Wizarding World of Harry Potter. When Fantastic Beasts and Where to Find Them landed in theaters, it was met with mixed reaction. A dizzying display of technical marvels was let down by a story some found lackluster. The sequel in a planned pentalogy, Fantastic Beasts: The Crimes of Grindelwald, doubles down on the missteps. It does so by both misunderstanding what made this universe so exciting in the first place and placing a lesser focus on the creatures which make up part of the title. 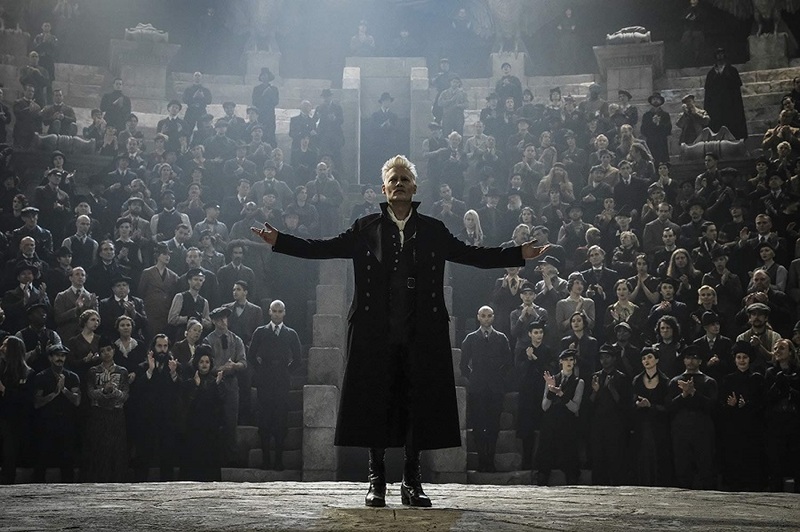 Beginning just months after the last film, The Crimes of Grindelwald opens with a rousing, if not confusing, escape of the titular character, Gellert Grindelwald (Johnny Depp). He immediately dispatches several wizards, announcing that this tale, will of a darker nature than expected. In London, Newt Scamander (Eddie Redmayne) has been barred from international travel, after his role in the partial destruction of New York. The British Ministry of Magic comes to him with a simple proposition. Agree to be an Auror, track down and kill Credence Barebone (Ezra Miller) and the ban will be lifted. His brother, Theseus (Callum Turner) begs him to listen to reason and pick a side. Newt, ever the magizoologist, trusting creatures more than humans, declines. 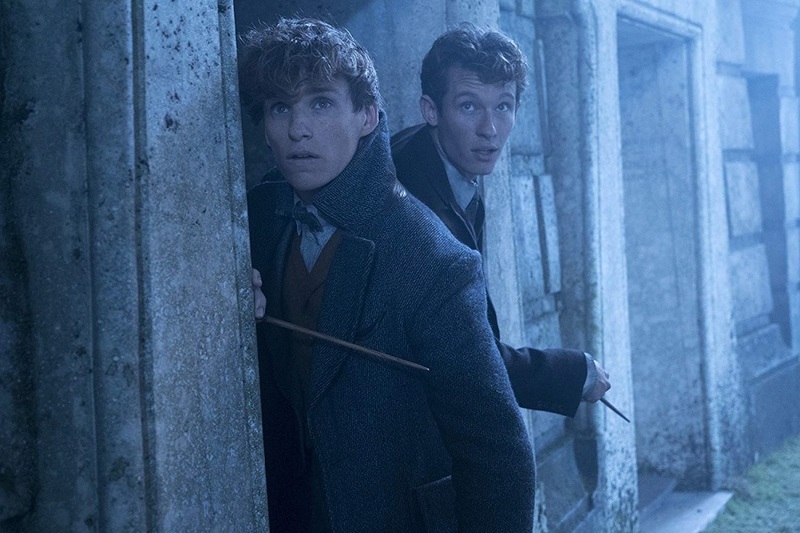 It takes a nudge from Albus Dumbledore (Jude Law), who, it turns out, sent Newt to America in the first place, to set off on this new adventure. All characters integral to the Fantastic Beasts franchise, find themselves in Paris. Conveniently at the same time. Newt searches for Tina (Katherine Waterson). Who’s not speaking to him due to a misunderstanding. Tina searches for Creedence. Creedence searches for his true identity. The reveal of which is sure to divide faithful fans. Jacob (Dan Fogler) searches for a distraught and confused Queenie (Alison Sudol). Grindelwald meanwhile, works to set a labyrinthine plot in motion. One that partly hinges upon leading a revolution, built up of wizards who wish for pure-bloods to rule supreme over half-bloods and muggles alike. There’s an air of the political to it, though one never really explored passed the surface level. Should all that sound like way too many moving pieces, that’s because it is. The Crimes of Grindelwald sets up way too many storylines. Managing to investing little energy in any of them. The main element keeping The Crimes of Grindelwald from being a memorable journey, is the thing that’s supposed to be the selling point: new material from Harry Potter author J.K. Rowling. Yet her decisions are often not only baffling, but seem to directly contradict established material from earlier books. Instead of a rollicking good time, filled with wondrous creatures, intriguing characters, or a narrative whose endgame wasn’t already known, Rowling betrays herself. Going down a road that George Lucas would be quick to warn her against. New additions like Leta Lestrange (Zoe Kravitz) feel involved just for their family tree. A shame seeing as how tragic her story first appears. Cameos appear for the sake of cameos, even when they break preexisting timelines. It reeks of the cheapest form of fan service imaginable. Something’s clearly amiss when a 134 minute film contains roughly 20 minutes of pertinent plot points. 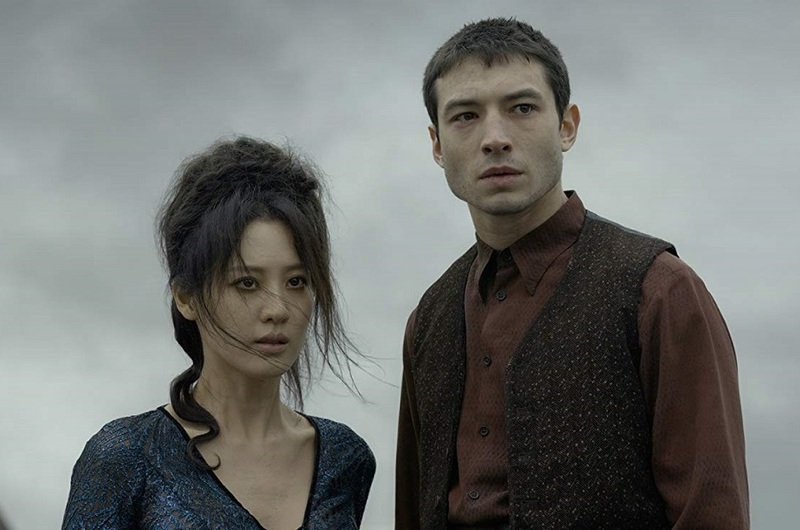 The Crimes of Grindelwald isn’t entirely without its charms. Visually, the film is stunning. At times surpassing several of the Harry Potter movies. A big top circus neatly folds to compact size with the flick of a wrist. A spell is able to show images from the past, through a haze of golden pixie dust. Grindelwald calls forth his followers by shrouding Paris in a thick dark scrim. Production designer Stuart Craig creates a breathtaking French Ministry of Magic, that’s distinctly different from those already glimpsed. What few beasts are seen here, remain fantastic, moving from Newt’s briefcase, into a magically altered townhouse basement. And, as expected, Law imbues his young Dumbledore with the same warm and mischievous twinkle the future Headmaster of Hogwarts is known for. It would be enough to sustain any other film, were it not, at every turn, drowned out by so much unnecessary noise. If students at Hogwarts were able to survive and thrive with an ever changing assortment of Defense Against the Dark Arts professors, so too can the Fantastic Beasts films, by inserting someone new behind the scenes. That’s not to infer Rowling be removed altogether from the proceedings. Just that someone needs to rein in her instincts and serve as a filter. To better translate her ideas. Re-inserting Potter screenwriter Steve Kloves, in an official capacity, would be a wise decision. Otherwise, things run the risk of creating two more films that also feel like an interminable slog. Unless, of course, most viewers warm to the notion of further big budgeted fan fiction-esque shenanigans. Hopefully, in the future, Fantastic Beasts: The Crimes of Grindelwald proves to be nothing more than a mere bump in the road.